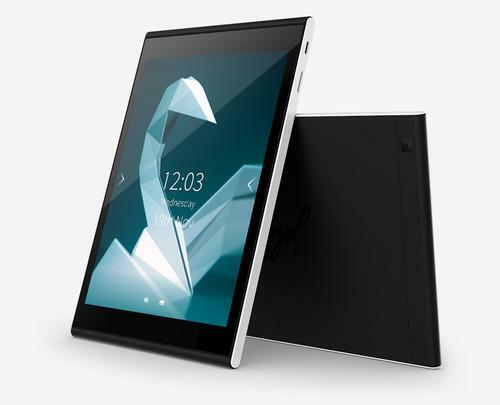 Jolla's tablet will start shipping in q2. Finnish smartphone startup Jolla is hoping to break into the tablet market with its Sailfish OS running on a device with a high-resolution 7.85-inch screen. No one seems to have to told the Finns how tough the tablet market is, though: Jolla's launch comes a day after its neighbor Nokia returned to the tablet market with the Android-based N1. Jolla, which means dinghy in Finnish, was founded in 2011 by a group of former Nokia employees, and the company started selling its first smartphone in November last year. The Jolla Tablet will start shipping during the second quarter next year, and it can be preordered via Jolla's new Indiegogo campaign, which also launched on Wednesday. The 1,000 devices that were available for US$209 including shipping sold out quickly. The goal is to raise $380,000 and sell 2,000 units before Dec. 9, and early Wednesday morning prospective buyers had helped the company surpass that sum. Still, 2,000 units is but a small fraction of the number companies like Apple or Samsung Electronics sell in the first 24 hours after a product launch. However, because Jolla is much smaller than those two, it won't have to sell nearly as many devices to survive. The company is counting on its Sailfish OS to attract buyers. The Linux-based OS is centered around a start page that shows all running apps conveniently in a single view. Users can also control apps from the multitasking view. Besides running its own native apps, the operating system can run Android apps. "We believe that there is demand for this, and even though there are more than 400 Android tablets in the world there are no open-source Sailfish tablets. So this is something different from everything else," said Taru Aalto, sales director at Jolla. The Wi-Fi tablet's 7.85-inch screen has a resolution of 2048 by 1536 pixels, and the device is powered by a 1.8 GHz quad-core processor from Intel. There is 2GB of RAM and 32GB of integrated storage that can be expanded using the microSD card slot. The tablet also has a 5-megapixel camera on the back and a 2-megapixel front camera. It weighs 384 grams and is 8.3 millimeters thick. The tablet hardware and the design is done, but the company has just started working on the tablet-friendly version of its Sailfish OS, according to a spokesman. A new phone doesn't seem to be on the cards, for now. "We are here to talk about the tablet," Aalto said.